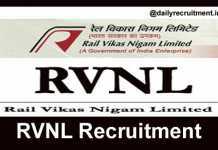 EIL Recruitment 2019: Engineers India Limited is going to fill up 96 vacancies in Delhi & Gurugram (Haryana). As per the EIL recruitment notification, these vacancies are allotted for Executive posts and discipline vacancy details are given below. It invites online application from qualified aspirants. Recently it has released the recruitment advertisement for these openings. Applicants who are seeking engineering jobs in central govt can use this chance. Eligible candidates can apply to this recruitment via online. The last date for submission of online application is 30.04.2019. 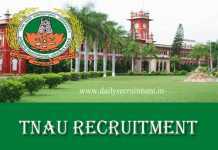 EIL recruitment apply online link and notification is available in official website. Applicants must have possessed BE/ B.Tech/ B.Sc. from recognized university. Candidates upper age limit should be 48, 50 & 52 years. Selection will be based on interview. Selected aspirants will be placed at Delhi & Gurugram (Haryana). Online application only will be accepted. More details of EIL recruitment vacancy, upcoming notices, merit list, selection list, admit card, result, upcoming notifications and etc. will be uploaded on official website. You may visit Official Website to get more details about this recruitment. Here you will get information like educational qualification, age limit, application mode, fee and how to apply. Keep check www.dailyrecruitment.in regularly to get latest updates about state govt jobs, central govt jobs, court jobs, engineering jobs, defence jobs, private jobs and etc. As per the notification, overall 96 vacancies are allotted for this recruitment. Discipline wise vacancy details are given below. Applicants must have possessed BE/ B.Tech/ B.Sc. from recognized university. Check Advertisement for educational qualification. Candidates upper age limit should be 48/52/50 years. Check notification for age limit and relaxation. Selection will be based on interview. Applications via online mode only will be accepted. Go to official website engineersindia.com. 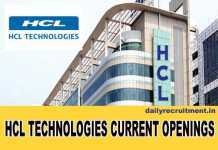 Click “careers” find the advertisement “FIXED TERM BASIS (CONSTRUCTION SITES) (Adv No:HRD/RECTT./ADVT./2019-20/02)”, click on the advertisement. Notification will open read it and check Eligibility. To apply enter your details correctly. Finally click submit button and take the print of the application form. Applicants who have fulfilled the above eligibility, those candidates can apply to this job easily. Do not miss the wonderful career opportunity in EIL. Aspirants kindly watch this page regularly for upcoming changes in EIL India job 2019. For more accurate information about this Engineers India job notification, check their official website. 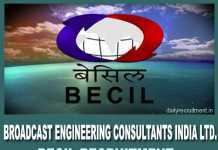 EIL Recruitment 2019: Engineers India Limited (EIL) has invited online applications from qualified candidates for the recruitment of Piping Stress Engineer vacancy. As per Engineers India Limited Recruitment 2019 notification, totally 30 vacancies are allotted for above said Designation [as shown in the below table]. Interested candidates who are eligible may apply for above said position through online mode application on or before the last date (i.e. 16th April 2019). Download detailed job notification from EIL official website of www.engineersindia.com. Candidates should have completed engineering or its equivalent educational qualification in relevant discipline from any reputed colleges/ institution. The mode of selection for above said post will be based on through interview to be held at delhi. Applying online application link will be activated from 29th March 2019 at EIL careers page. The last date for submission of online applications is 16.04.2019. Other mode of application form will be rejected. For more information about Engineers India Limited (EIL) Recruitment 2019, candidates may check the official website @ engineersindia.com. Here EIL eligibility criteria, educational qualification, selection process and how to apply for the recruitment are available in this page in brief. Also we have provided direct EIL portal link to apply online and download official notification below. To know more Government Jobs and Private Jobs please watch this website regularly i.e. 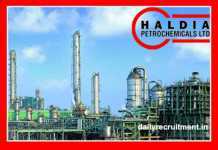 www.dailyrecruitment.in. Engineering/ equivalent from any recognized university/ institution. Check more details of educational qualification in EIL official website given below. Check details of age limitation in official notification given below. Check more details of EIL selection process in official job advertisement given below. Find the correct notification and open it. Read the notification correctly to check your eligibility for EIL jobs 2019. Eligible candidates fill all mandatory details of online registration form and upload necessary documents. Finally, submit your application through online mode till the last date. EIL Recruitment 2019: Engineers India Limited (EIL) has issued recruitment notification for Medical Consultant (Part Time) vacancy. It is going to fill up 03 vacancies for above said medical jobs. Interested aspirants may submit scanned copy of application form to the following mail address [i.e. E-Mail ID: anupam.borah@eil.co.in]. And also send your hard copy of application form along with copies of relevant documents to given below postal address on or before the last date ends. The last date for submission of application is 22nd April 2019. Candidates may download job notification and application form through EIL careers page. Candidates should have completed MD (Medicine) or MS (Gynaecology/ Obstetrics) from any recognized university and must have not exceed 60 years as on 22.04.2019. Selected persons shall be posted at EIL Bhawan, Bhikaiji Cama Place, New Delhi or EIL Complex, Sector 16, Gurgaon on contract basis. For more information about Engineers India Limited (EIL) Recruitment 2019, candidates may check the official website @ engineersindia.com. Here eligibility criteria, educational qualification, selection process and how to apply for the recruitment are available in this page in brief. Also we have provided direct link to download official notification and application form below. To know more Government Jobs and Private Jobs please watch this website regularly i.e. www.dailyrecruitment.in. MD/ equivalent from any recognized university/ institution. Check more details of educational qualification in official website given below. Minimum age limit is 18 years and maximum age limit is 27 years. Check more details of age limitation in official notification given below. Check more details of selection process in official job advertisement given below. Online Mode – By Mail [E-Mail ID: anupam.borah@eil.co.in]. GM (Recruitment & Manpower Planning), EIB-6th Floor, Engineers India Ltd., 1, Bhikaiji Cama Place, New Delhi-110066. Click on option -> Careers -> Current Openings. Find the correct notification “Hiring of Medical Consultant in EIL” and open it. Read the notification correctly to check your eligibility for rally soldier post. Eligible candidates can send your application form via online mode and offline mode till the last date. Subscribe to our mailing list and get latest Job alerts and updates to your email inbox.